Use your own method of teaching rhythm. Then have students write in the counts, Gordon syllables, or whatever method you choose. Can also be used as a performance sheet. 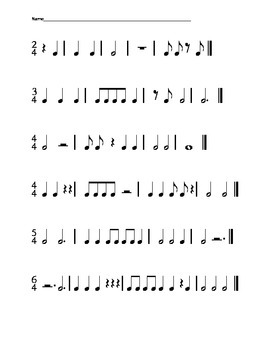 Assess what students know and understand about rhythm.